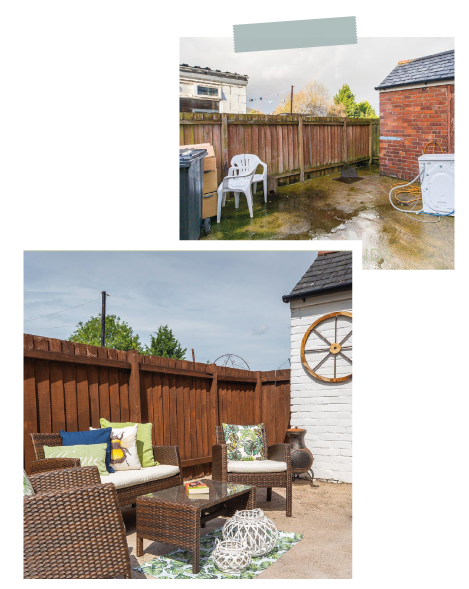 Having recently undertaken the mammoth task of making money from property flipping, I feel I could now write a book about what not to do whilst rennovating a property especially when it comes to staying stress free. Of course, all is well that ends well and although the project wasn’t without it bumps in the road, it ended with the successful sale of the property! 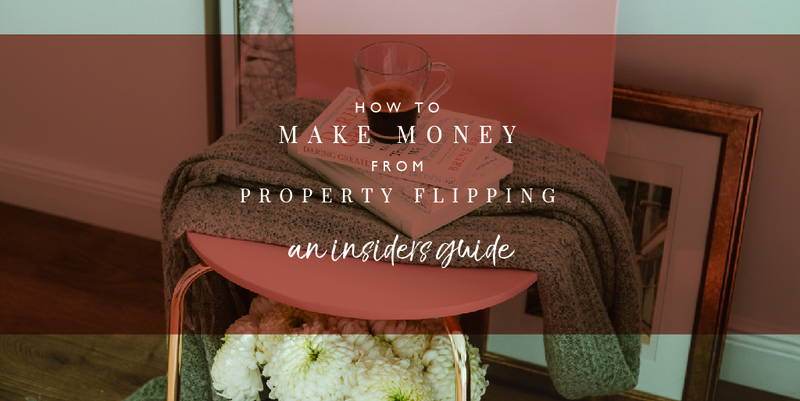 Who best then to write and insiders guide to making money from property flipping? Well don’t do what I did the first time I did a renovation and start buying kitchens before you’ve even got the keys! If you are doing a FULL renovation then the best place to start is by stripping the WHOLE house back before you do anything else. Strip all the walls, remove all the carpets and laminate as well as any skirting boards or coving you want to replace. The same with the kitchen including any false ceilings, floor and wall tiles. 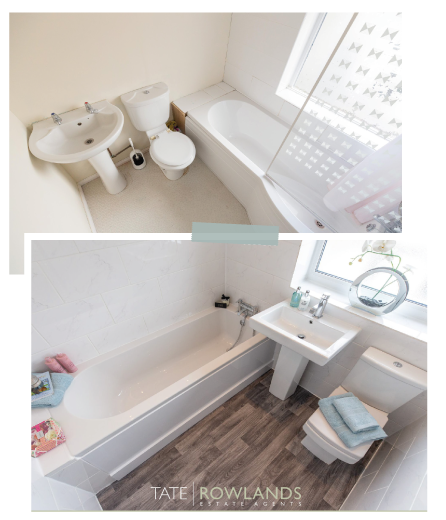 The only things I would leave alone is the toilet and the sink in the bathroom until you are ready to replace them – just so that the tradesmen have the facilities! But you can get rid of the rest. Now it makes perfect sense to do all of this, but excitement for your first project can leave sensibility at the door. By doing all the prep work at the start it will stop any nasty surprises later on and give you a better plan of action. Not to mention a more accurate cost of the works to be done. Planning is key if you want to stay on time and on budget. Start with a main renovation list for major jobs such as: windows, doors, soffits, facias, guttering, central heating, electrical work and plastering. Make sure you are constantly monitoring total spends, perhaps with a spreadsheet, to avoid overspending and always shop around! You should get at least two separate quotes. Work through things methodically – think about the order of jobs to be done and make sure you get timescales for each job and clarification from tradesmen on start and finish times. The biggest design budgets are kitchens, bathrooms and flooring. Remember to remain in keeping with the style of the property and your target market. Your kitchen and bathroom don’t have to be expensive to look great. Make sure you get a great fitter and think about your finishing touches such as handles and tiles as they will add more of a wow factor than upgrading to a higher quality kitchen cupboard. Trust me! Work room by room and make a list of everything you need from new switches and sockets to skirting board and paint. The small items add up quick so go through everything. In my opinion, dressing a house for sale can add thousands and doesn’t have to cost you the earth. 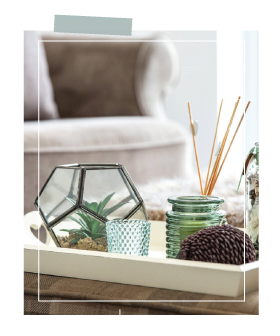 Have a concept in keeping with the property and the type of buyer you are looking to entice and work with your local agent to help give you advice on what is selling well and the style of those properties. It’s all about selling lifestyle. You want people to imagine how they will use the house: where they will eat; how they will relax etc.